here it is. 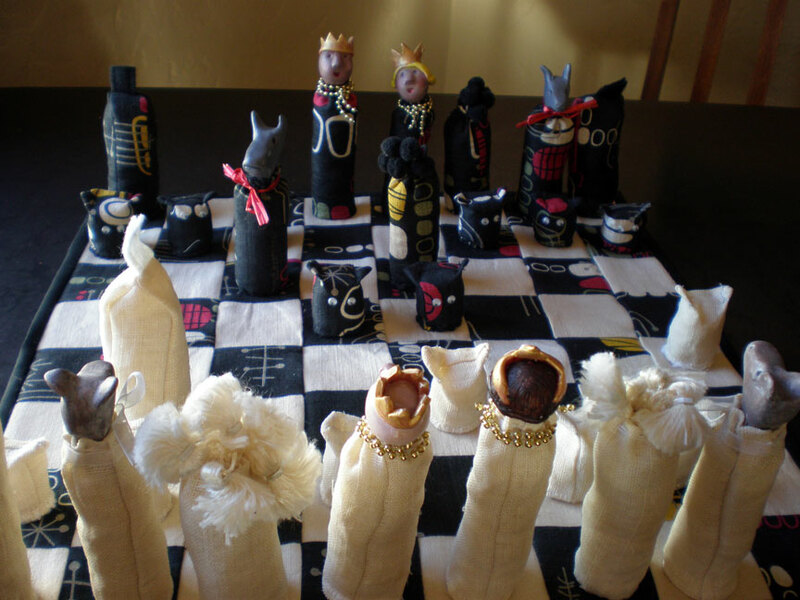 the chess set i struggled to complete before christmas morning and with which i am not very satisfied. adjustments must be made. the kings and queens (note how the white ones are leaning) are too tall and fall easily. i should have made the bottoms wider on all the back pieces. i will get to it but i’m resting my machine until the new year arrives. i do love the pawns though. the beady little eyes and pointy little ears are perfect. i feel for the dishwasher, confessing to his colleagues what his wife gave him for christmas! bless his heart he loves me anyway. You and the dishwasher renew my faith in love. Happy 2009!